Double vision (your doctor would probably call it diplopia), occurs when a single object looks like two images simultaneously, or when two images of the same object overlap. The displacement may be horizontally, vertically or diagonally. You should take it seriously if you are seeing double vision. People with thyroid eye disease may develop double vision due to swelling and thickening of the muscles that move the eyes within the eye socket. Temporary episodes of diplopia due to reasons such as boozing too much, being too tired or side of effects of certain drugs are usually not cause for worry. However, if they keep coming back or is long termed, they may indicate brain or eye issues that requires yours attention. 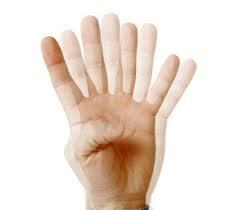 If you have diplopia and ignored it, after a long period of time and it seemed to go away. This may mean that your brain has tuned out one of the images (suppressed it). It may be convenient for you but it is actually not a good thing. That is because the suppression might be masking some serious issues which could cause sudden death. So seek your doctor immediately if you observe double vision developing. How Single Image Vision (single binocular vision) Is Achieved. The eyes act as a team, working together to create one distinct picture from two separate images. Opening your eyes and seeing a single, clear image is something you probably take for granted. It is less known that in order for this seemingly automatic process to succeed, it demands multiple areas of the vision system to work together seamlessly. They include, your cornea, natural lens, eye muscles, nerves and parts of your brain which process the visual information. If any of these areas go hardwired, ghost image or double vision can occur. There are two types of diplopia. Double images disappear when you close one or the other eye. In this type of diplopia, both the patient's eyes do not work together properly. It is usually caused by the misalignment of the eyes. The patient's eyes are not perfectly aligned - they point at slightly different angles, which results in slightly different images being sent to the brain. Due to the differences, the brain can’t fuse the images together and attempted to see them both. Thus double vision occurs. Any problems related to the nerve or the extraocular muscles around the eye can cause this situation. Strabismus - A childhood misalignment of the eyes that affects about 4% of children in United States. Diabetes - High level of sugar in the blood can damage the nerves which control eye muscles movement. Sometimes this can happen before the person is aware that he or she has diabetes. 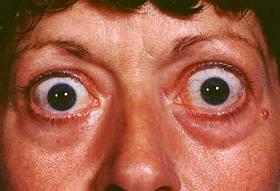 Thyroid eye disease -Complication from Graves’ disease (overactive thyroid). Myasthenia gravis - This is an autoimmune neuromuscular disorder in which the body’s immune system mistakenly attacks nerves which transmit impulses the muscles. The muscles become fatigued due to constant contract instructions from the nerves due to the attack. Cranial nerve palsies - Third, fourth and sixth cranial nerves are responsible for sending signals to the extraocular muscles which control movement of the eye. Damaging anyone of them results in loss of coordination or paralysis of one or more eye muscles, thus creating double vision. Cranial nerve palsies can be caused by head trauma, brain tumor, diabetes, multiple sclerosis, high blood pressure, blockage in an artery (stroke) or an aneurysm. Injury - Trauma to the head or the face can result in damaging the muscles in the eye socket or the nerves that control eye-movement muscles, causing double vision. Less common form of diplopia. You continue seeing double images even when the unaffected eye is covered. The double vision comes from just one eye. When the affected eye is covered, you usually stop seeing doubles. This is caused by refractive problem in that one eye itself. Light entering that eye isn't focus properly on your retina to form a single image. Ghost image is common with patients with monocular diplopia. Ghosting is different from double image in which the two images are usually only very slightly separated and not two distinct images. Astigmatism - The cornea in the affected eye is irregularly shaped.This is an abnormal curvature of the front surface of the cornea causes light to be diffused. 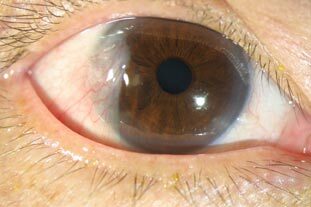 Cataracts - Due to the clouding of the natural lens inside the eye, light rays are scattered into different directions. This forms several but incomplete images. Pterygium - Also known as Surfer’s eye in which the conjunctiva, the thin membrane that covers the inner surface of the eyelids and whites of the eyes, thickens. The thickening can extend all the way on the cornea (the clear part of the surface of the eye) and covers it. Keratoconus - An eye disease which causes the cornea to gradually become thin and cone-shaped. Dry eye - A condition in which your eyes do not produce enough tears. Severe dry eyes, such as Sjogren's syndrome, can cause ghost images due to insufficient or poor quality tears. Many people who suffer from dry eyes can be helped by artificial eye drops and eye vitamins. 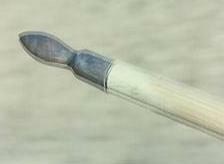 Dislocated lens - In some cases, the natural lens shifts or wiggles out of it original position due to injury of the ligaments that are supposed to hold the lens in place. This can be caused by trauma to the eye or a condition known as Marfan's syndrome. 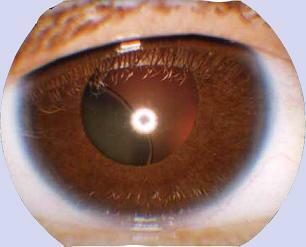 It can also happen due to improper placement of the intraocular lens after a cataracts surgery. Refractive surgery - You may experience some double or ghost imaging if you have had LASIK, PRK, or any type of refractive surgery, because of the changes to your corneas (irregular corneal surface). Retinal problems - Double vision can happen when the surface of the retina is not perfectly smooth, which can have a variety of causes such as macular degeneration.